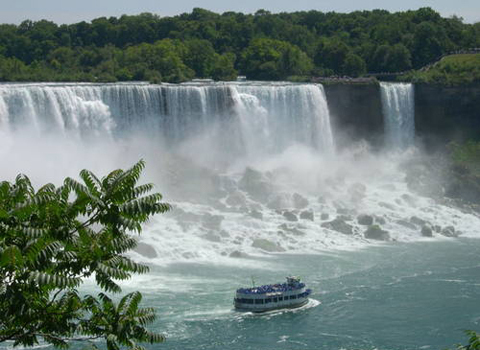 American Falls, which can be best described as the American Side of Niagara Falls, is comparatively a small waterfall lies far left of the Horseshoe Falls in the US State territory, New York between Prospect Point and Luna Island. 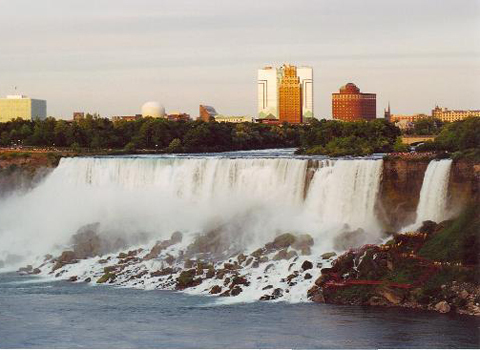 The American Falls looks like 'W' in shape light up in multi-colours every evening. 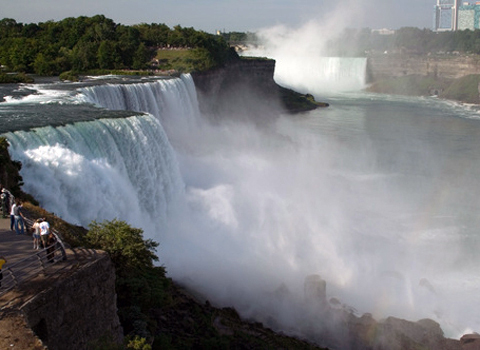 The estimated water flow over the US side of Niagara Falls is 75,000 gallons per second, which comes just the 10% of Niagara Falls total water flow. 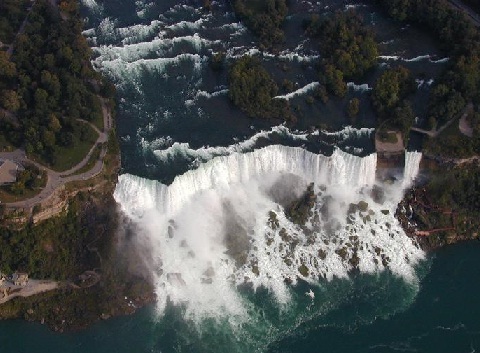 As per the studies and researches, it has been concluded that the American Falls will transform into a succession of descending rapids due to natural forces of erosion. 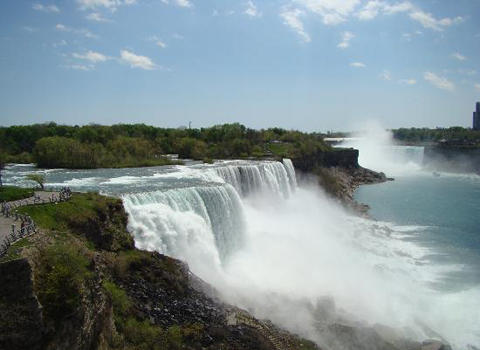 The high flow rate of water causes the fall of large sections of bedrock in the American Falls, which is composed of soft shale and limestone. 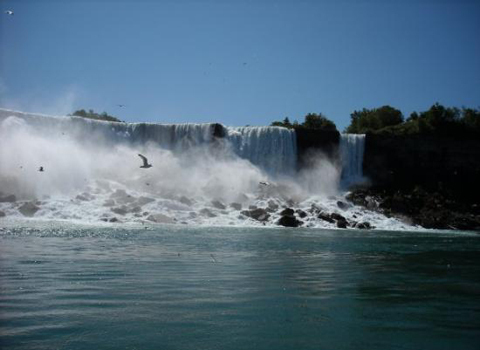 In order to study the rock fall and to calculate the amount of rocks at the base of the cataract, scientists blocked the US side of Niagara Falls in 1969. 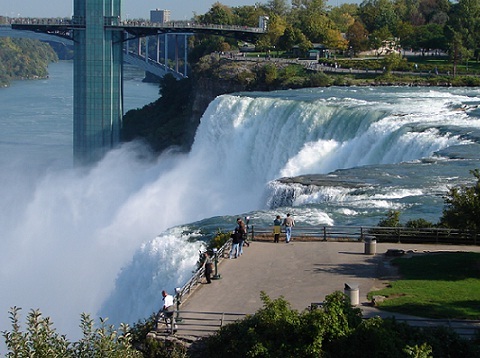 Though the height of American Falls is higher than the Canadian counterpart, no daredevils ever preferred to go over the American Falls. 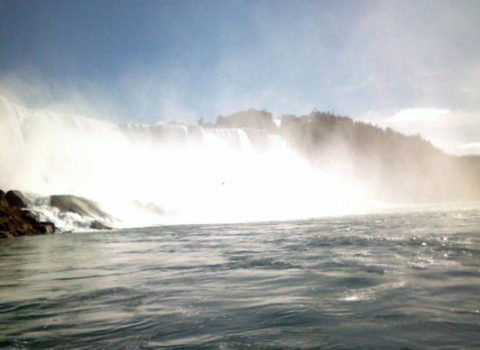 All the stunts were done at the Canadian Horseshoe Falls, which is more popular with its immense water flow rate and shape. 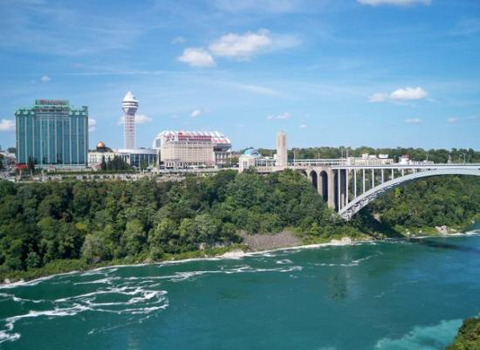 Find hotels accommodations and resorts in the American side of Niagara Falls.